I was recently invited to Farmington New Mexico for a two day residency at the library. 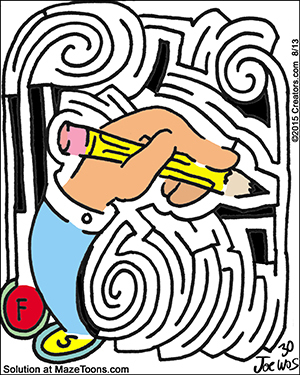 While there I taught several cartooning workshops and created a maze mural. It will be on display for kids to solve as part of the summer reading program. I create maze murals for schools, libraries, festivals and more. There is even one at StarKist corporate headquarters in Pittsburgh!